He happens to be a big fan of Sundays and I can say I’ve grown to love them too. We’re not big on sleeping in (and our dog wouldn’t let us anyway), but I cherish getting up and having a coffee in front of our fireplace. It’s our time to catch up on what’s currently going on, what we want to do in the future and anything else that comes up. This is one of my favourite parts of the week. I think it’s the perfect fabric to breathe a bit of Spring into our home. I’m hoping to find a few additional fabrics in smaller-scaled patterns and a solid to pull the whole thing together. This week, while working on a client project, I came across a few ready-made pillows that knocked my socks off. Although they’re not the perfect complement to my fabric, they will definitely work in other rooms. I think a few pillows like these will make their way into our home very soon! It isn’t always that simple and often depends on the different textures of fabrics and other features of the room (paint colour, area rug, accessories, etc. ), but it’s a general rule to follow. How about you? Do you like to mix several colours or are you a neutral kind of girl? Do you like a sofa full of throw pillows or do you prefer simple and paired back? Sunday’s for me are good but as it gets to the evening I do tend to think here we go again, we all lead such busy lives that weekends are to be cherished with our families. As for cushions, I have way to many and still adding to my collection, they are all various kinds. It’s a bit spooky but I too have blogged recently on both of these subjects. Loved reading your blog by the way, and will return often. I love that I now work from a home office and don’t have that “here we go again feeling.” It has been really liberating, although I do get swamped at times! I love lots of pillows in coordinating colors in different prints and sizes!! I love that fabric you are using! Great post! Thanks Rekha! I love the line of pillows you have as well. My husband brought me back some fabric from India and I’m thinking of making some pillow covers out of it as well. Nothing like a new pillow to quickly update a room, love the beautiful soft colors in the fabric you chose! 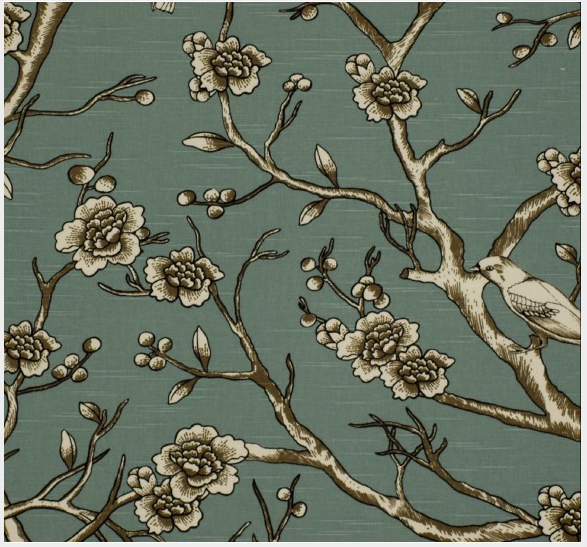 The prints from Z Gallerie would definitely make a staement! 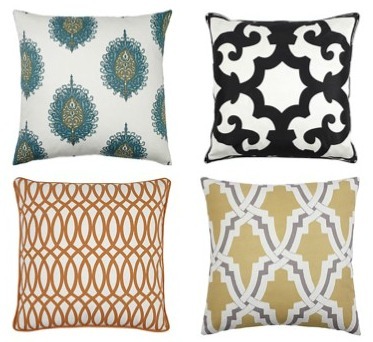 I love those Z Gallerie pillows! I’ve had my eye on them but my husband says I have to stop, since we have 12 pillows in our living room already:) They are an eclectic mix of textures and patterns, but I’d love to find more covers so I could change things with the seasons like you. I think they drive my family nuts at times because there are certain ones I let them lay on and others that are purely for decoration (especially the cashmere and silk!). Thanks for visiting my blog. I’m off to check yours out!